The Journal of Medical Science has now proven that smell produces thought. 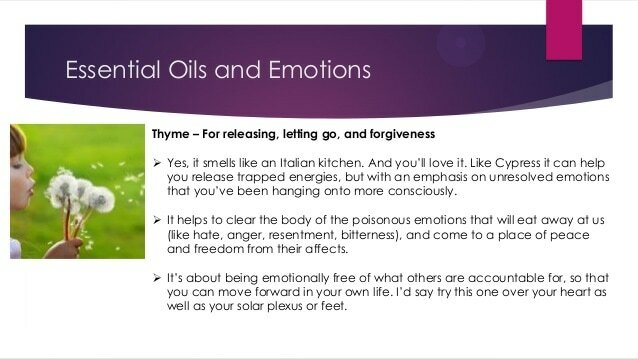 Learn about the specific exquisite essential oil blends that can communicate with your brain for the purpose of healing your emotions, releasing negative thought patters and helping you live a more victorious life. The tai chi masters and acupuncturists have known this for untold generations. They often spoke of the chi in plants, and selected herbs and foods for their patients on the basis of the electro-energy they contained. FREQUENCY – is defined as a measurable rate of electrical energy flow that is constant between any two points. 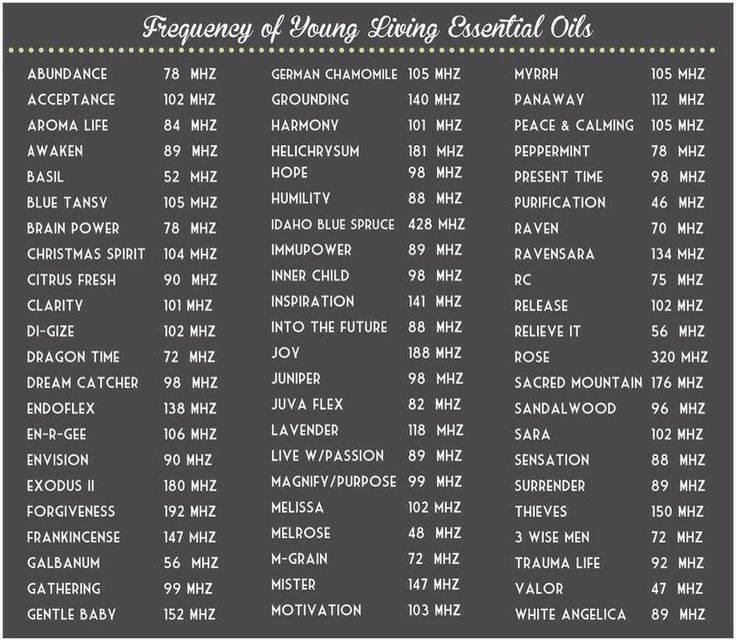 Everything has an electrical frequency, and what an incredible discovery it was for me to learn that essential oils contain frequencies that are several times greater than the frequencies of herbs and foods. A healthy body, from head to foot, typically has a frequency ranging from 62 to 78 MHz, while a disease begins at 58 MHz. All emotions are stored in the Limbic region of the brain. When we breathe through the olfactory system, smell travels to the amygdala portion of the brain creating emotional responses. 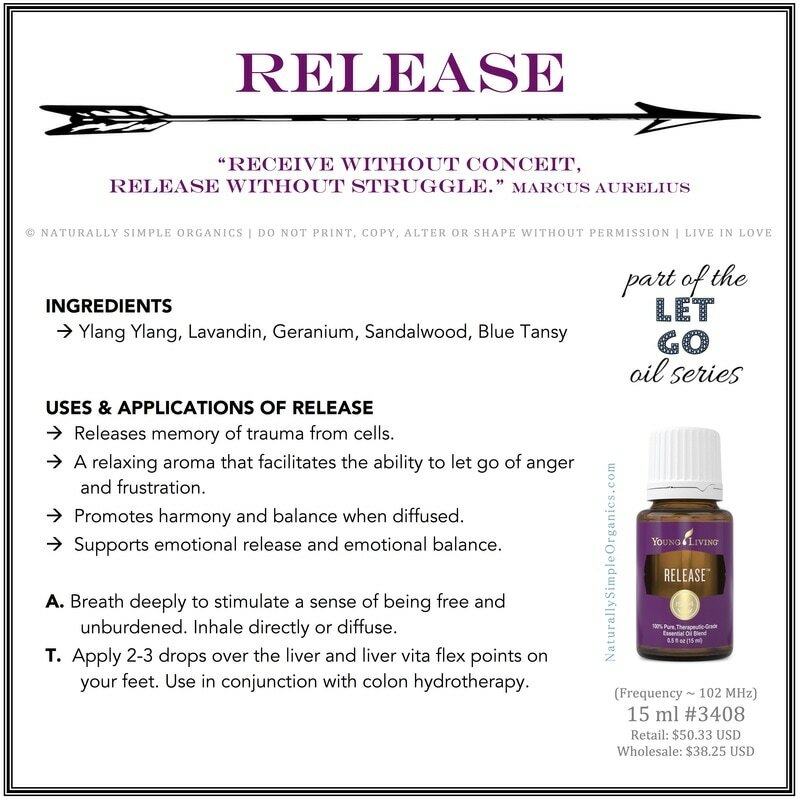 By breathing essential oils on a daily basis we can release long standing negative emotions from the limbic region of the brain. Exercise – helps to lower cholesterol and strengthen the cardiovascular system. In addition, exercise stimulates the release of hormones and neurotransmitters that make people feel good. Meditation – is a way of connecting with that place inside that is happy, joyous and free. 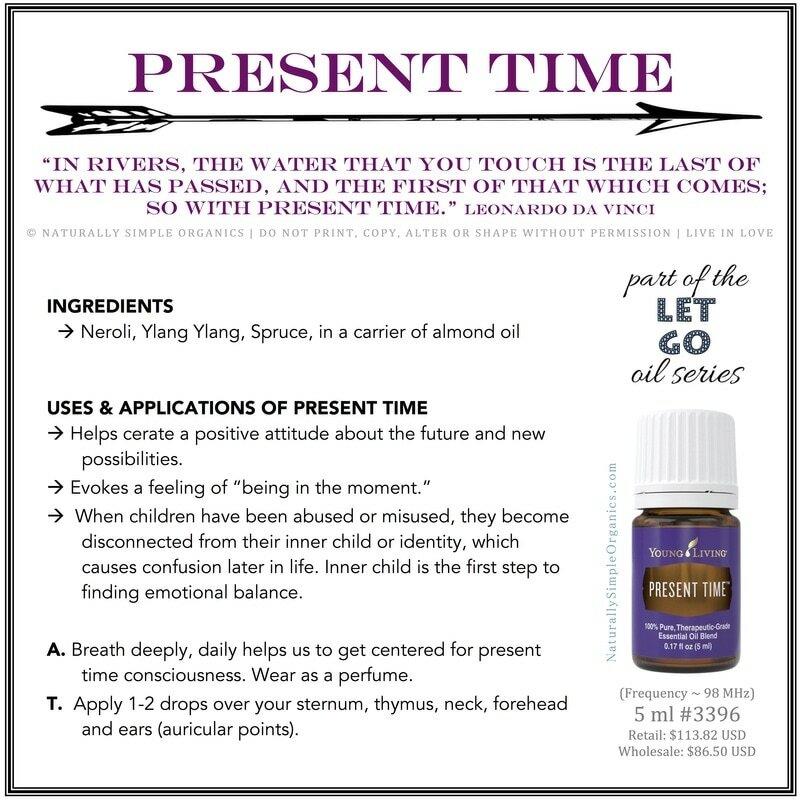 Essential Oils – are a natural health substance taken from plants. They have a complex chemical structure and are extremely powerful in promoting physical, emotions, and spiritual wellbeing. Positive emotional triggers, like exercise and meditation. Exercise has many benefits, including stimulating the brain and the release of hormones and neuro transmitters that make us feel good. Meditation is a way of connecting, a happy, joyous and free place inside. Negative emotions compromise our immune system. 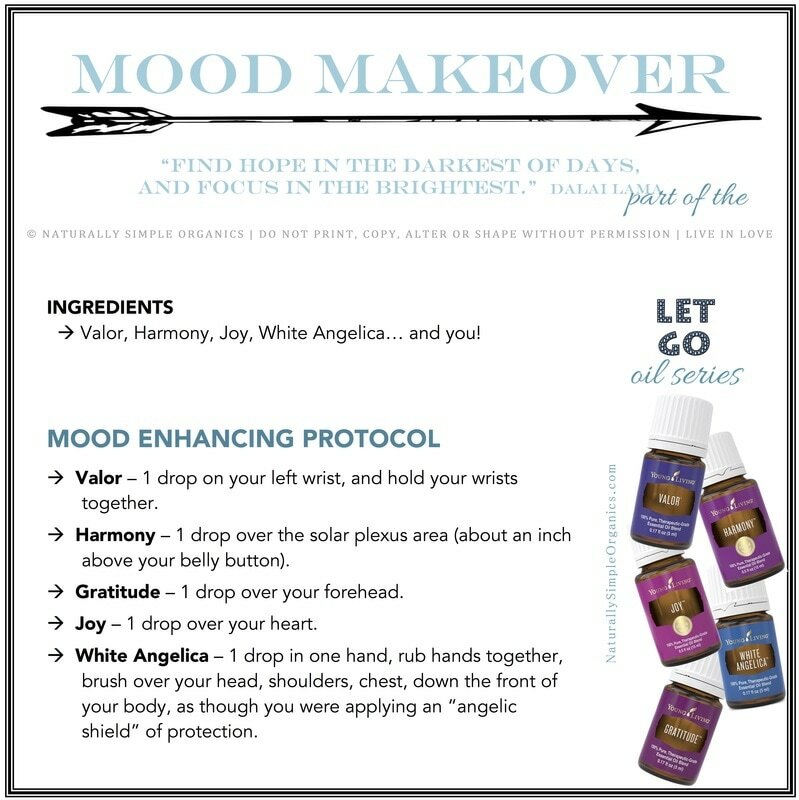 There are six fantastic essential oils in the Feelings Kit (Valor, Harmony, Forgiveness, Inner Child, Release, and Present Time). 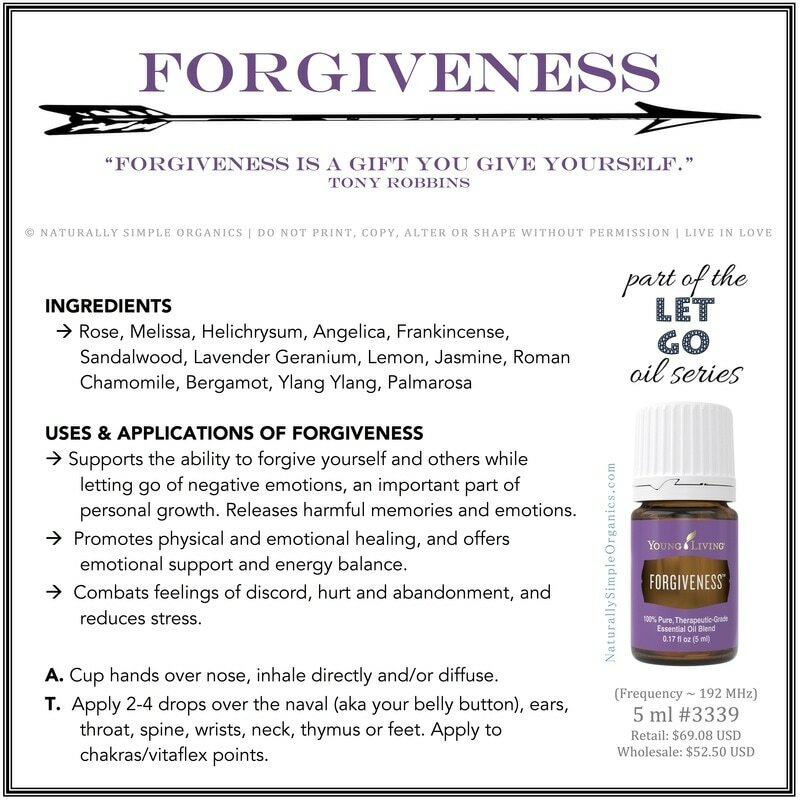 Each essential oil works in a different way to help release whatever is holding you back from reaching your true potential! Never run out of your essential oils! Get your oils here: Welcome to the wonderful world of Young Living Essential Oils. ​You can really make this your own experience. If you feel that the essential oil will be better served placed on a different area than I recommend or in a different order, then I encourage you to try it! I based mine on Gary Young's Protocol. The first and most important thing you can do is find some place relaxing where you won't be disturbed. ​The basic steps to balance emotions are, 1st to identify and FEEL the emotion that is out of balance. Smell the appropriate oil, taking it into all of your cells. Feel the other side of that emotion, and apply the oil to the Alarm Points, and the emotional points on the forehead over your eye brows. Then focus on and say the Statement that provides your way out. This allows you to move from a negative to a positive state. Continue to smell the oil until you feel your energy shift. Repeat as needed, maybe that's a few times, a few days or even a few months. I've seen people experience a difference almost right away. 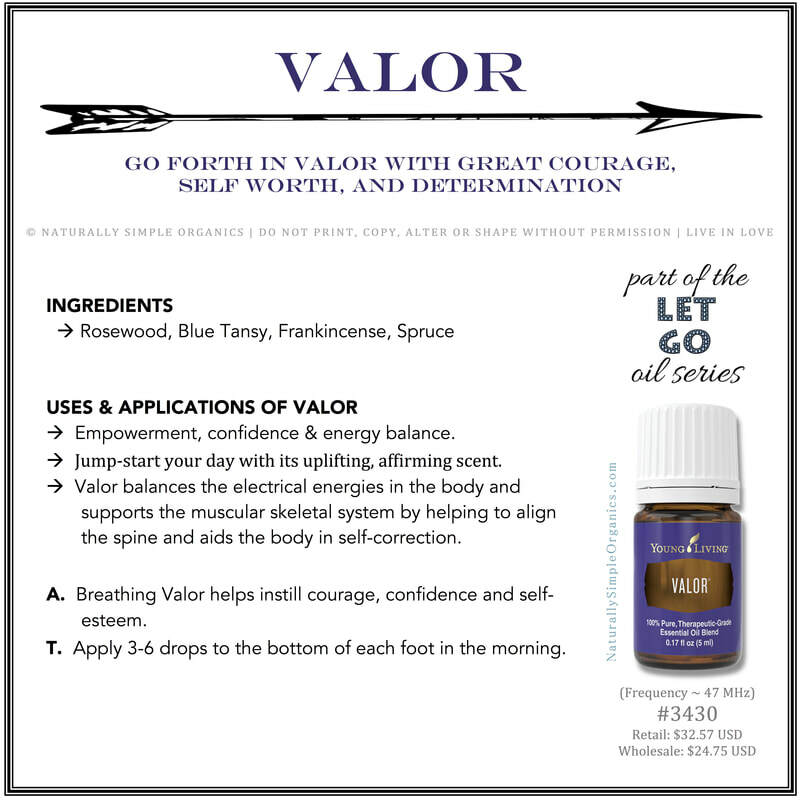 Valor – 1 drop on your left wrist, and hold your wrists together. 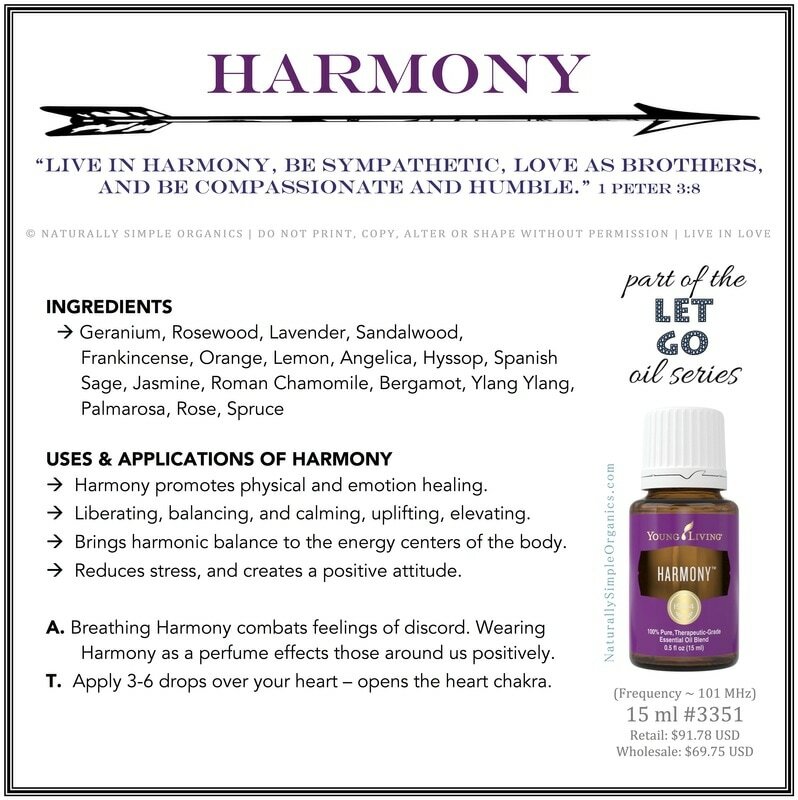 Harmony – 1 drop over the solar plexus area (about an inch above your belly button). Gratitude – 1 drop over your forehead. 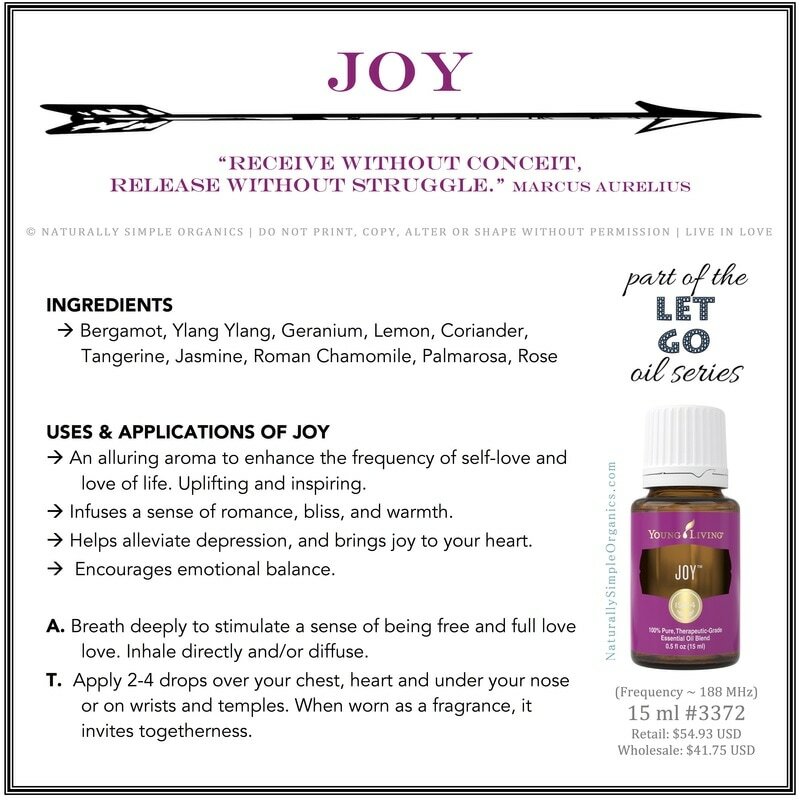 Joy – 1 drop over your heart. White Angelica -1 drop in one hand, rub hands together, brush over your head, shoulders, chest, down the front of your body, as though you were applying an “angelic shield” of protection.